"We Help Middle America Retire"
We strive to serve as your most trusted advisor. 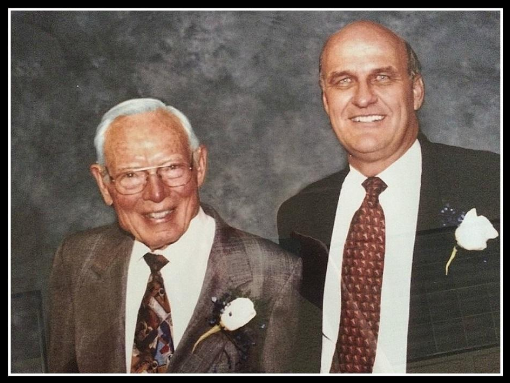 The roots of Eley-Graham Financial Advisory Services began in 1958 when Paul Eley started his insurance advisory business. He was on the cutting edge of the financial planning industry. As the industry evolved, Richard (Rich) Graham joined Paul in 1981. In 1982, Paul and Rich formed their partnership and created Eley-Graham Advisory Corporation, which is a fee-based, financial planning and advisory business. Paul Eley retired in 1994, at which time Rich became the owner of Eley-Graham Financial Advisory Services (EGFAS) and Eley-Graham Advisory Corporation. Today, Rich and his Advisory Team serve the financial and retirement planning needs of individuals, families, and small business owners. The staff at EGFAS includes Certified Financial Planning Professionals™ as well as registered and licensed professionals to assist the complex needs of our clients. Eley-Graham Financial Advisory Services offers individuals and their families a process and system called “The Retirement Express” – Your Retirement Ticket®. Everything that we do in the area of financial and retirement planning comes out of this process. The Insurance Protection Track - Life, Health, Home/Auto, Long-Term Care, etc. By visiting the six stations, we help our clients determine how to accumulate their assets, create income for retirement, help preserve those assets and, ultimately, distribute those assets to their loved ones. “The Retirement Express” and Your Retirement Ticket® bring all the tools together in one continuous process to help individuals achieve financial independence throughout their lifetimes. Throughout history, we have developed long-term, mutually-beneficial relationships built on the highest levels of trust, integrity, and service. In so doing, we have created relationships that, like our company, endure over time. We look forward to developing this kind of relationship with you and your loved ones.